Our tour guide was amazing...one of the best tours we have had. She was knowledgeable, personable and did not try to bore us with useless details. She provided a nice history of the area and would highly recommend her. Just wish I could remember her name since it has been several months since the tour. We had a fantastic guide , who was very entertaining and knowledgeable. The tour gave terrific coverage of the area. and history. The visit to the church on the island was a must to see.The short boat ride , the history inside the church and exhibits was great. Driving around,6 adults in van gave us the opportunity to view some beautiful scenery. The tour was finished off in local bar with our guide ,for one beer inc in price .Do not miss this one. Guide was excellent, but we arrived late due to fog in Venice, and tour had to be cut short. They should have cut time on Perast Island to allow more time in the city and shopping there. Due to fog, our ship arrive late, so tour was cut short. 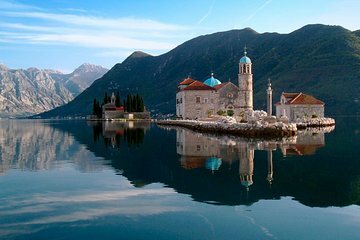 Guide was delightful, but time on island of Perast needed to be shortened to allow more time and info. On the city. Our driver/guide was extremely knowledgeable. Our only problem was walking to the quay - we had to make arrangements for him to pick us up in Perast as we could not walk back up the hill to where he had parked. He accommodated us with this request, so all was fine. Love our tour guide Ilija. We could feel his pride and love for this serene beautiful town!